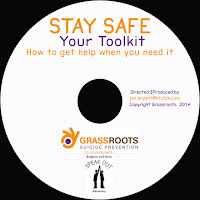 Grassroots has developed a DVD suicide prevention toolkit for people with learning difficulties in partnership with Jon Bryant (our fantastic producer) and SpeakOut, a Brighton-based advocacy service for adults with learning difficulties. When we looked into available resources for people with learning disabilities and thoughts of suicide we found nothing like this, so we're thrilled to have brought it to fruition. 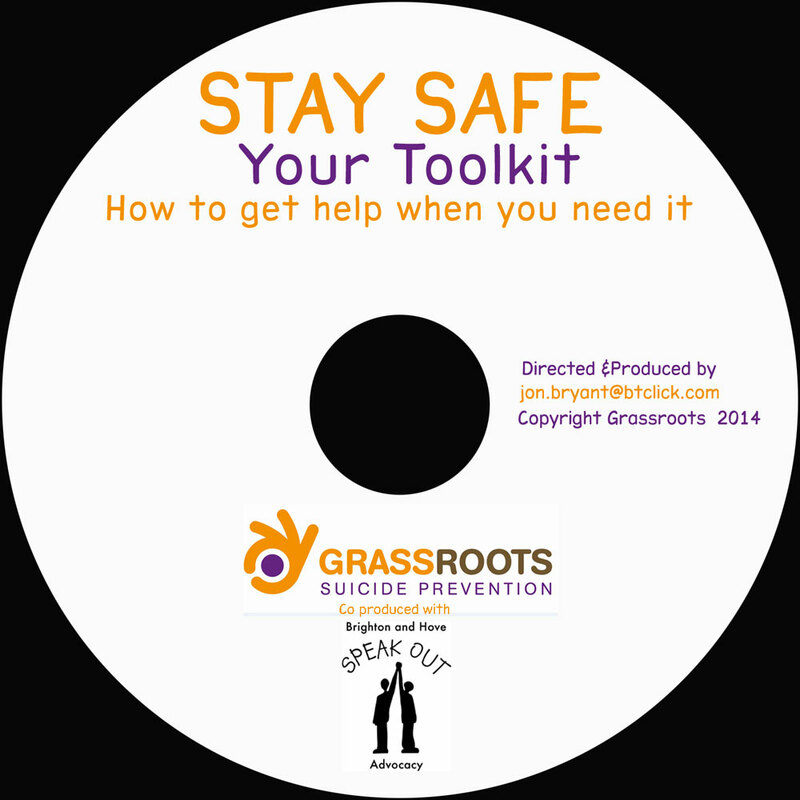 The DVD has been extensively tested and contains very practical guidance about thoughts of suicide and how to ask for help from trusted sources. We initially developed the resource for Brighton & Hove with some funding from the local Learning Disability Development Fund, and are ready now to open it out across the UK. "Some years ago I was asked to use my 30+ years experience as a mainstream video director to transform a 40 page legal tenancy agreement into a “see and hear” version for supported living tenants. 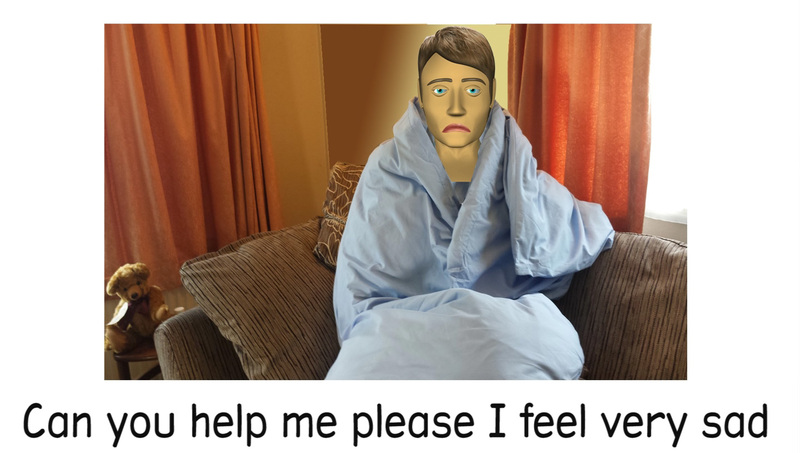 I worked with the tenants every step of the way to benchmark my “visual language”. Being a tad dyslexic means I have a learning disability too so perhaps it was destiny that the inspiring Chris Brown, a director at Grassroots Suicide Prevention saw my housing association work on Twitter and got in touch. Over a period of about a year Grassroots and I slowly gathered research as there is nothing out there except some very academic work that didn’t give me any personal insight. Some of our research was done quite formally via sessions run by Brighton and Hove based advocacy Speak Out and their clients with learning disabilities. I also spent that time talking to parents from around the world who so kindly shared the intimate and tragic details of their experiences with a stranger. It was emotionally the hardest research project I have ever taken on, but it gave me a much better feel for the breadth of the learning disability spectrum and how best to communicate this most difficult of topics. 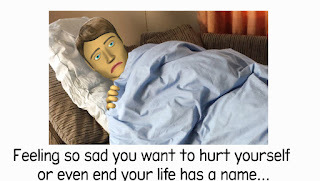 It’s worth mentioning at this point that I have experienced what it is to have suicidal feelings as a troubled young man and since then the three suicides that have touched my life all involved people with learning disabilities. As ideas and concepts were developed we were so lucky to have a team of people with learning disabilities who were prepared to get involved and give us their vital feedback, which now forms part of our evidence base. It’s a tragic fact that they all knew people who had attempted and sometimes succeeded in hurting themselves or ending their lives, so special thanks to them for their courage and commitment. I spent 18 months creating testing and refining the suicide prevention tool kit, getting the language and tone of voice right was a complex challenge. When we finally had a finished product we then ran a pilot for 6 months. The degree of approval and positive feedback has exceeded anything we ever dared expect; all the respected names in this area have endorsed it and learning disability nurses let us run a tweetchat about it. We presented it to an audience of learning disability clinicians at Kings College in October." Having got sign off from Brighton and Hove community learning disability team and with 500 copies now out there in the community our vision is simple; it should be a tool available to the NHS, charities and carers nationally. We are still working out the details of how this will happen, so to express an interest please contact chris@prevent-suicide.org.uk with the subject line: "Stay Safe toolkit interest" and we will add you to the list to be updated when we have news. Please bear with us as it may take a while to finalise the details of how this can be made available in your local area. Huge thanks to Jon Bryant for his sterling work, SpeakOut for providing so much expertise and Brighton & Hove City Council for the initial funding that helped us get this ground-breaking piece of work off the ground. It’s worth mentioning at this point that I have experienced what it is to have suicidal feelings as a troubled young man and since then the three suicides that have touched my life all involved people with learning disabilities. I also spent that time talking to parents from around the world who so kindly shared the intimate and tragic details of their experiences with a stranger. I want to become a freelance translator in future and help people in such situations. This is a very good attempt aimed to stop suicides. Many people would find it useful. Even a phone call at the time of suicide can prove helpful. Many lives could be saved from this. I all students suffering from this problem make use of this feature. Everyone is able to write an essay if they are asked to do it. But in order to make it attractive for the readers, it requires a little effort from the part of writers. Following the general format that is followed by all essays is very important. While writing our essays we should try to keep simplicity. This is because most of the readers of our essays will be common people. Using hard words in the essay will make it difficult to understand. Another benefit of using simple language is that we can generate genuine interest in our readers to read our essay. Keeping it short and precise instead of writing a long essay is always good. Our surroundings have a major role to play in the quality of our essays. Writing in a quiet room with a fresh mind and body will help to get a good flow of thoughts. Next essential quality for a writer is a good reading skill. A person aspiring to become a good writer has to become a good reader. This will help them to know about the writing styles used by different authors. Trying to finish our article in a single sitting will make us feel tired. This may even interrupt our thought process and negatively impact our writing. So we can complete our writing on different schedules. We have to set our deadline o finish writing our essays. Maximum effort should be taken from us to complete the essay within that time. Conducting good research will always be beneficial for our essays. It will help us to collect more data for our essays. Visit essay service for more details. Win a free ASIST place!